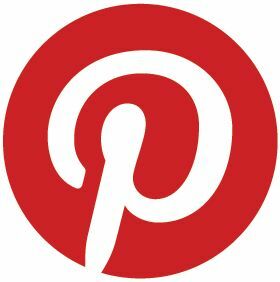 Hello Peeps and welcome back to my little place of blog-land. Today I am sharing a card that I created for the new and final challenge of 2012 over at House-Mouse and Friends Monday Challenge Blog. This is such a beautiful time of the year as we are all preparing for Christmas with our loved ones. Check out our Christmas Challenge HERE! You'll want to play along because we are sponsored by House-Mouse Designs and they are offering a $25 gift certificate as well as Di's Digi Downloads who is also offering A $10 Gift Voucher! For your chance at the prizes and for all the Challenge details, click HERE! 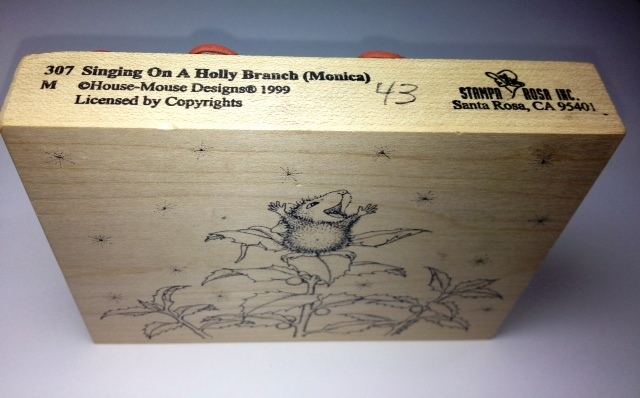 Stamps: Stampa Rosa Inc., House-Mouse Designs, Stamp called: "Singing on a Holly Branch" Featuring (Monica), #307M from the Year 1999. To make the wreath, I die-cut the circles then glued on several layers of punched out Holly Leaves and Fern Leaves in Green Shiny Paper and Heavy White CS. The wreath is popped up with foam dimentionals and topped off with Velvet Ribbon, miniature jingle bells and rhinestones. 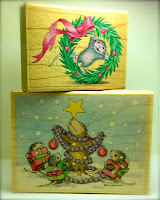 Thank you to all of you who entered into the drawing for My Blog Candy of these two House-Mouse Christmas Stamps. HMD By Me is a place with a Great Gallery of HM&F, Gruffies and Happy Hoppers Designs by multiple crafters. Check it out HERE and submit your own work too!!! Our House-Mouse Family is featured in Business People! Check out this great Eeeeeeek Mousey Read! It's So RAD, So COOL, So FUN to know the story behind the scenes!! Here is a direct LINK. America, this is a super fun card. Very bright and cheery which is exactly what Christmas cards should be. Have a wonderful holiday and can't wait to see you "next year". Wow what a wonderful and gorgeous card America. have a great and wonderful christmas too. Is a really great Christmas card America and such an effective use of your punches making the wreath. It's great to see you at Penny Black and More challenge this month, thanks so much for joining in. American, LOVE this red, green and blue color combo, so very pretty. Amazing layers and the wreath is beautiful. Just want to reach out and hug that little guy! Happy Holiday with your family.....glad kids are okay! Thanks for all you do. Hi America you never cease to amaze me with your stunning designs..love this wreath of die cuts such a cute happy mouse image hes certainly a happy chappy beautiful work. Happy Christmas & Best Wishes for a Happy & Healthy 2013 to you & your family..
What a joyful little mouse!!! Such a sweet card...thank you so much for joining us this week at Cupcake Inspirations! Good luck and hope to see you back next time! Such a cute little mouse - he looks to be having so much fun. Love the punched out wreath. Thank you for sharing this with us at Diva's by Design. What a delightful card. I love how you added a 3D wreath. It really makes your card pop. So vibrant and cute. I would hug him. hee hee your wreath looks awesome too. Awww, this is so beautiful...love your colouring of that sweet mouse...great details!...thanks for sharing with the Divas by Design! I love your way of 'thinking outside the box' with this super cute image. Such a lovely card with some wonderful colours. Wishing you and your family a very Merry Christmas and a happy New Year. Wow! Your wreath is fabulous!!! So much work, but oh so worth it with these results!!! Fabulous, I love the wreath effect. Absolutely gorgeous America, a beautiful design, a stunning image and your wreath is sensational!!! Very cute - love all the 3D pieces, that wreath is magnificent!! Thanks for joining us at Cupcake Inspirations! This is so gorgeous, I love the wreath, and the image is so cute and adorable. This is SO cute! I just love this adorable mouse! Adorable!! Love the wreath...cute image! Thank you for joining us at RRR! that mouse is so stinkin' cute and the wreath is beautiful and makes a perfect frame. thanks for playing with us at Cupcake Inspirations. Oh my word.. your card is GORGEOUS!!! Whoever the lucky recipient of this piece of card-art is, he/she will be over the moon, that's for sure! Wishing you wonderful Holidays, America! wow....very pretty, love your wreath. Thanks for sharing with us at Cupcake Inspirations.